Have you ever wanted to stay in an ancient palace and eat breakfast like the king or queen accompanied by the African sunrise and a side plate of live Berber music? 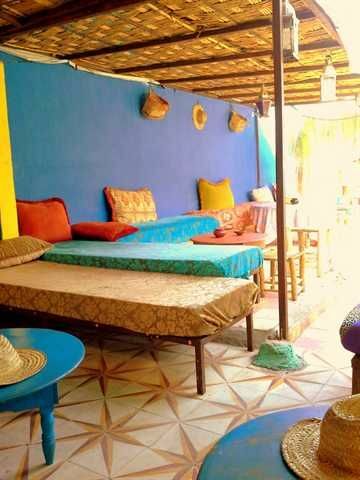 You will find a truly royal bargain at Hostel Waka Waka for the first time in Marrakech.With dorms, private rooms, large, bright communal areas and a daily routine of music and entertainment you can't help but meet other travellers over tea, shisha and sunshine. 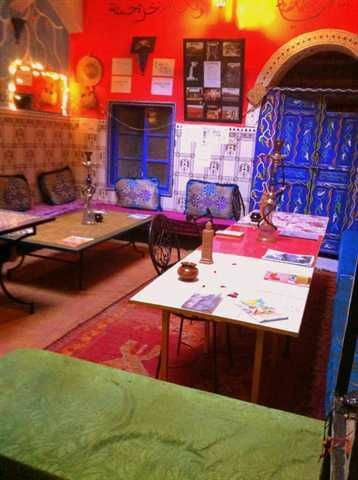 Spread the travel bug, and enjoy warm happy hospitality Moroccan Berber style. Everyone comes to Marrakech looking for a good price and Waka Waka cuts out the haggling for you. For the first time in Marrakech. If you are on a shoe-string budget, but want to stay in an old palace of a hostel, come and enjoy the regally calm but highly entertaining Waka Wakas.Turn your ideas into adventures in our large communal courtyard or garden roof terrace. Learn how to cook and banquet Moroccan style in our guest kitchen, and experience Waka Waka's evening entertainment. If you find the time to leave the hostel, you will find all the sparkly trinkets you need to cram into your backpack on our doorstep. Leave your guidebook at the bottom of your bag, and experience Morocco Uncut. Choose your own adventure over tea and maybe a cheeky shisha pipe we are from all corners of Morocco the far flung Sahara, the mountains and Marrakech itself and are happy to provide guidance, advice, and lots of stories about the areas you may want to visit. Get off the beaten track. As Michael Palin once said 'somewhere a long way away, people are doing sensible things like mowing lawns and digging gardens'. 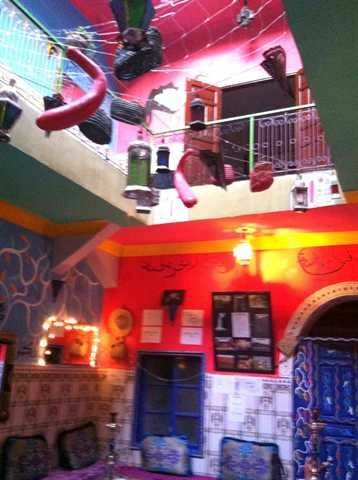 However, with not a spade in sight, you will be banqueting, singing, laughing and experiencing the incredible city of Marrakech in an old palace of a hostel that breathes life into travel.